With only four matches remaining in the regular season, the Washington Kastles will host the Sacramento Capitals Monday as they attempt to complete the second perfect season in the history of World TeamTennis. The two teams faced each other on July 9, resulting in a 21-16 Kastles victory. Sacramento's squad features grand slam doubles champions Mark Knowles and Vania King. The Kastles have already clinched the No. 1 seed for the Conference Championship. The next best record in the nine-team league is 6-4, which is held by two teams -- one of them being Sacramento. Tonight's match will be played without America's two most popular female athletes. 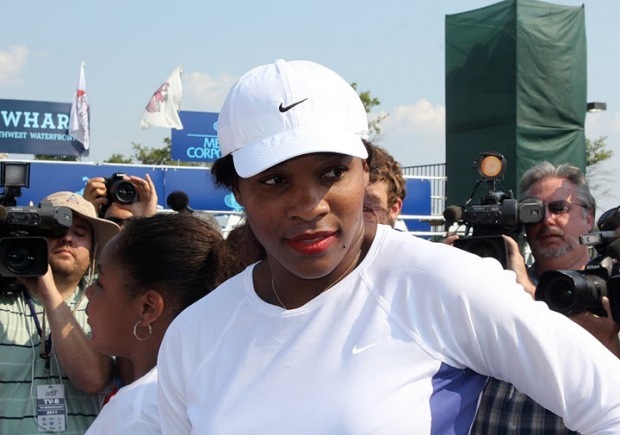 Kastles teammates, Serena and Venus Williams were recently voted No. 1 and No. 2, respectively, in the poll conducted by Harris Interactive. The Kastles play their home matches at Kastles Stadium at The Wharf.